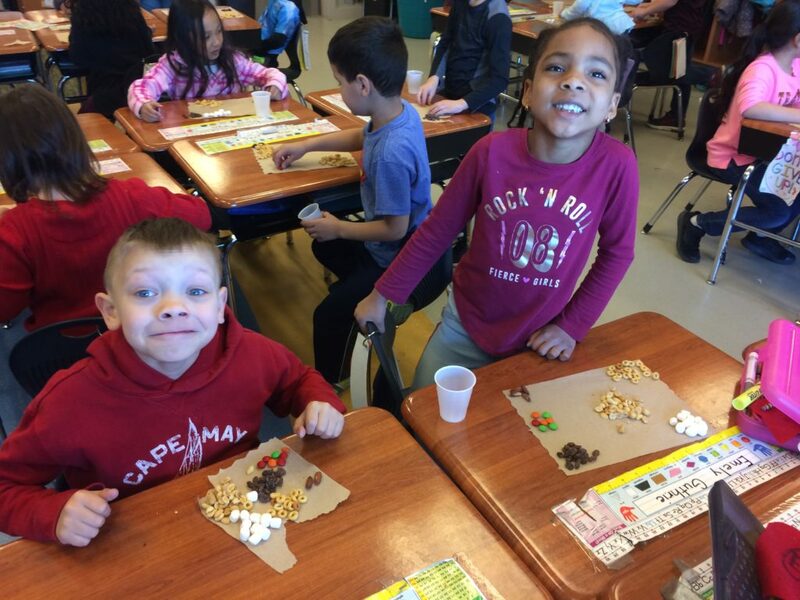 Today first graders got to learn all about mixtures and solutions in chemistry. 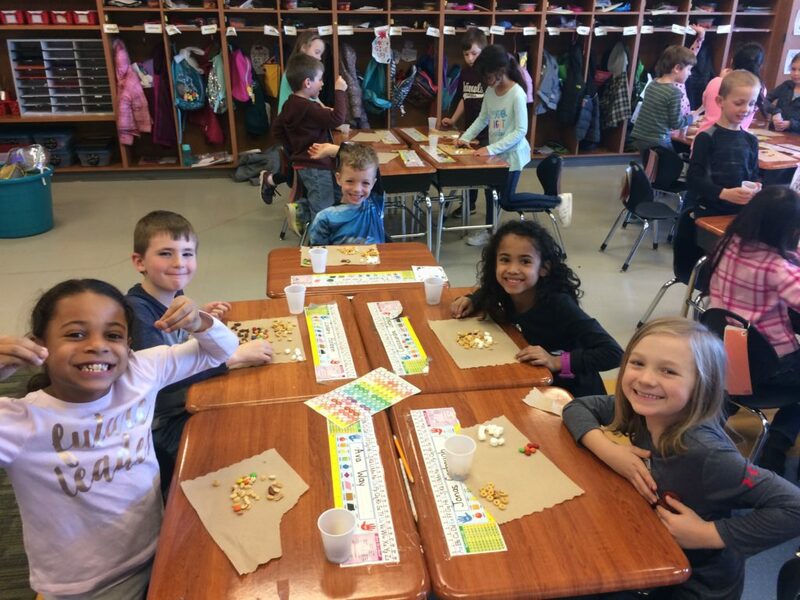 We got hands on by mixing trail mix, cereal, and marshmellows together for a fun “mixture” that could be separated and mixed back together again. 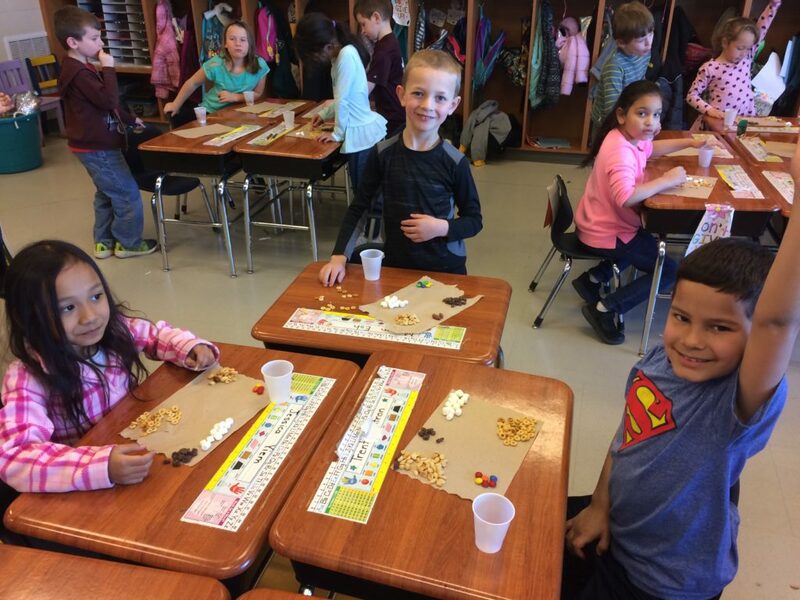 Of course students got to try some of their mixtures. 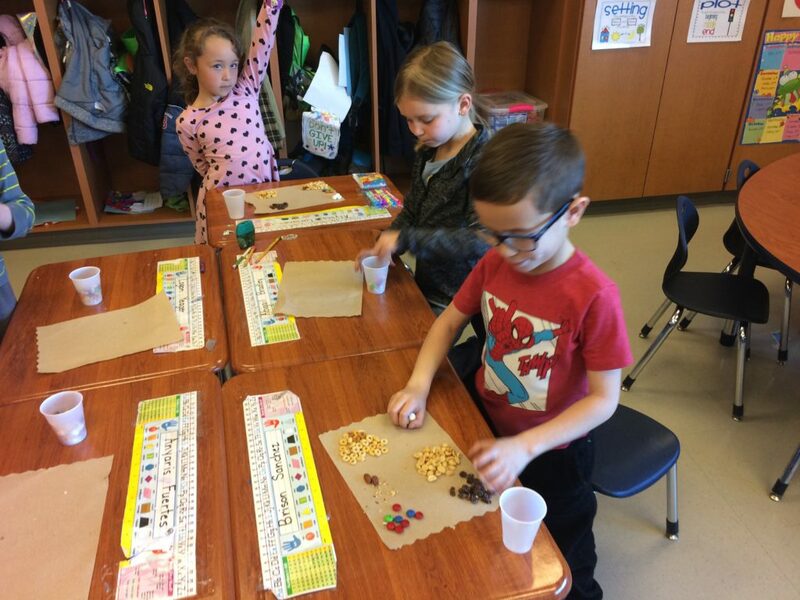 Then we also taste tested a “solution” using lemonade mix and water together learning that we can not take the solution apart once it was mixed together. 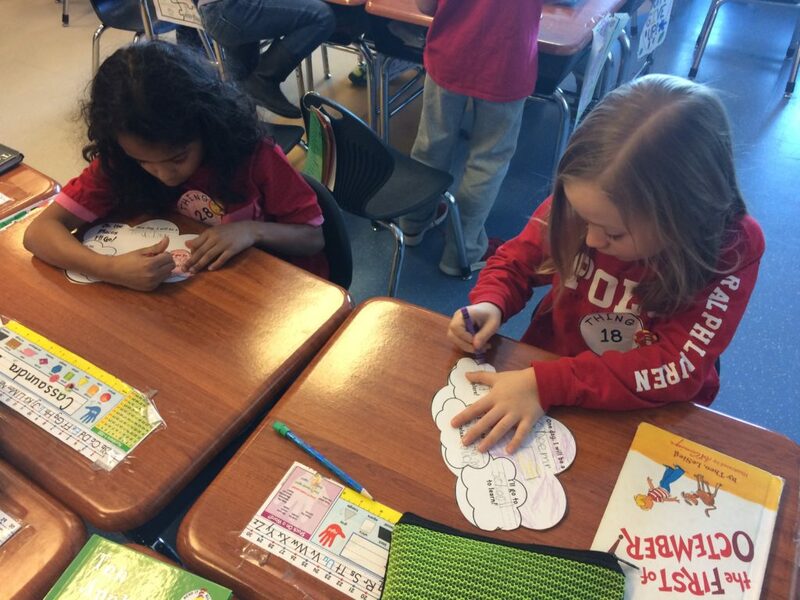 States of matter can surely change : ) Check out the pictures below. So happy to enjoy some sunshine with my first graders today on the playground. They earned extra recess from prizes they had earned and today was a beautiful day to do it. 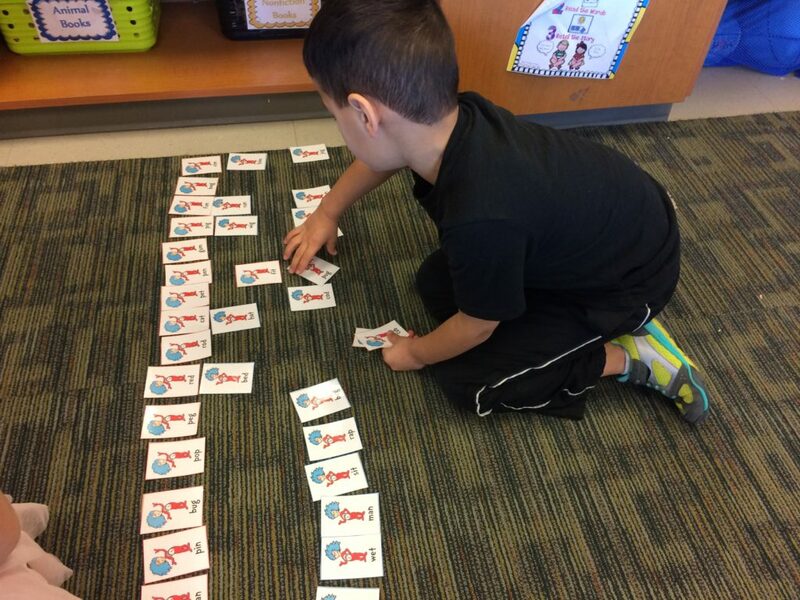 Check out some of the fun. 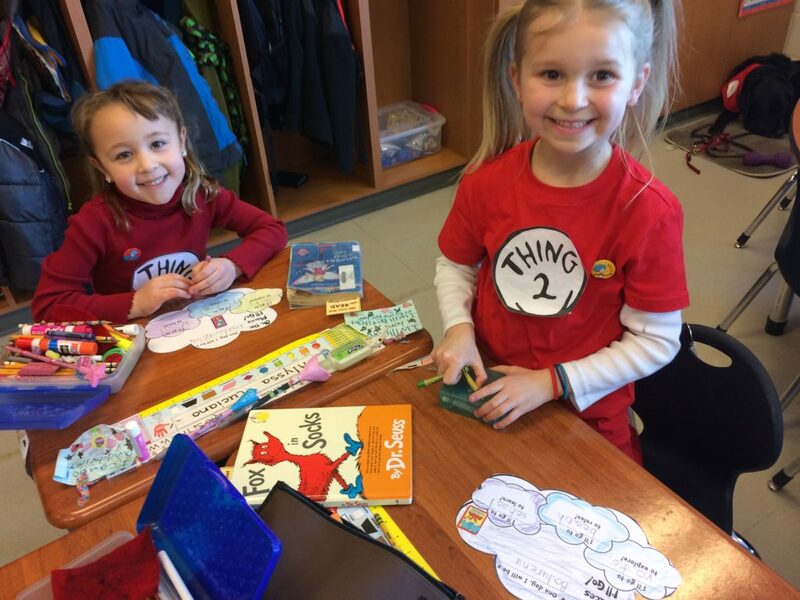 **Students who do not bring these items or do not wish to participate will still have a regular indoor recess and do a special “snow” activity inside! 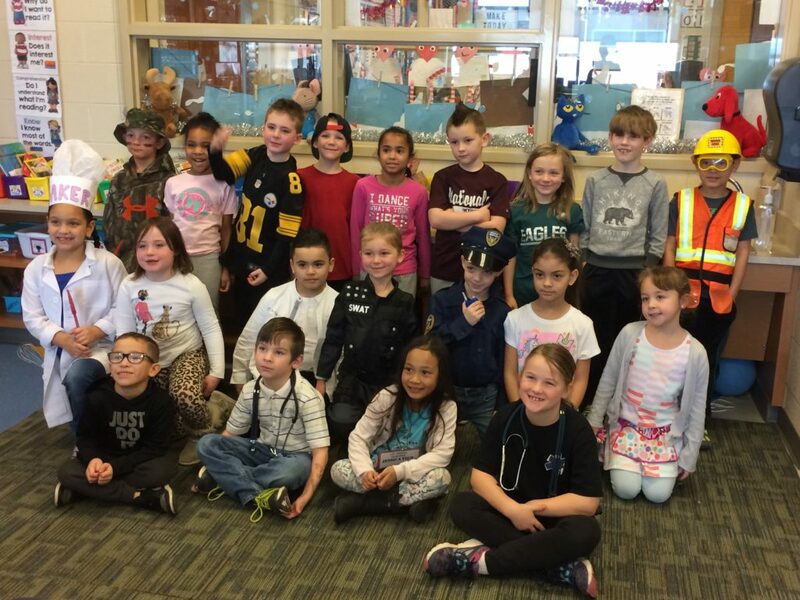 We are having so much fun in first grade this week! 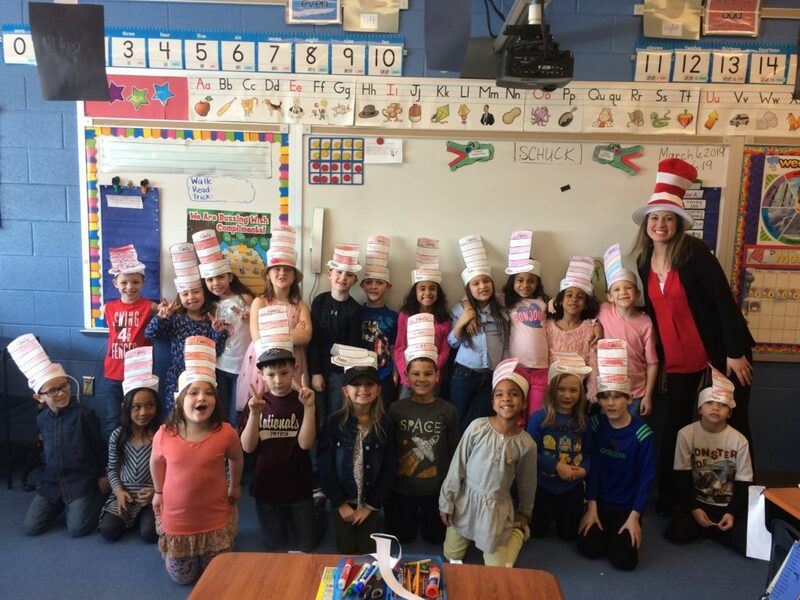 From crazy hair to twin day to crazy cat in the hats…we are reading, writing, rhyming, learning about Dr. Seuss, and so much more. 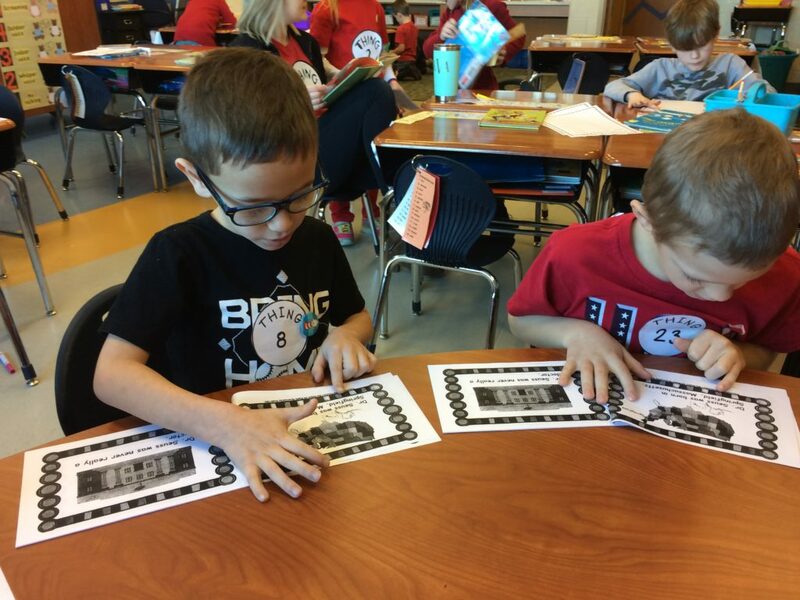 We have SO much fun learning together in first grade!! 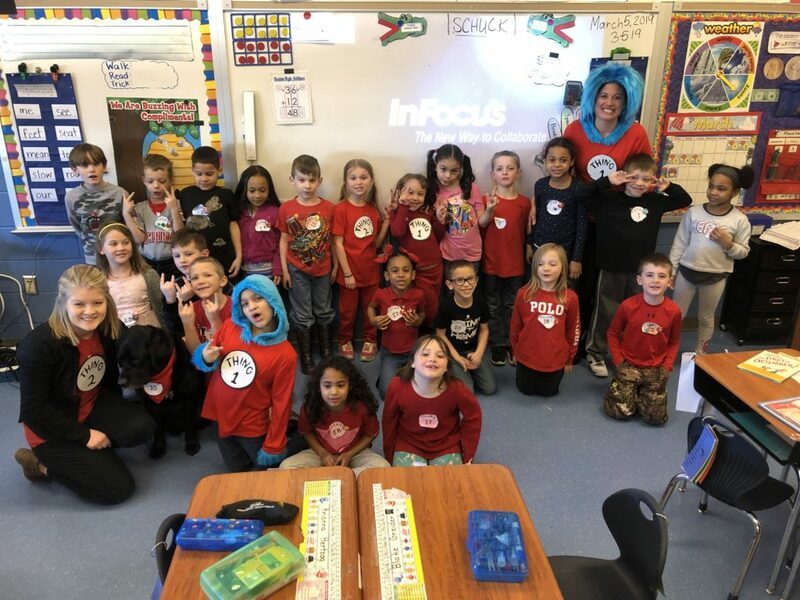 Next week is Dr. Seuss themed week. 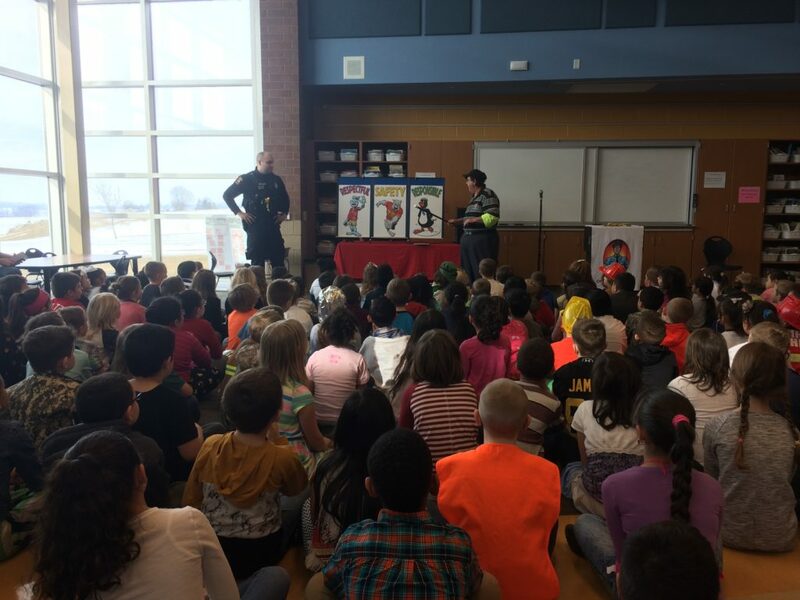 Primary grades got to start the day with a fun assembly from Officer Phil learning about respect, responsibility, and safety in the community. 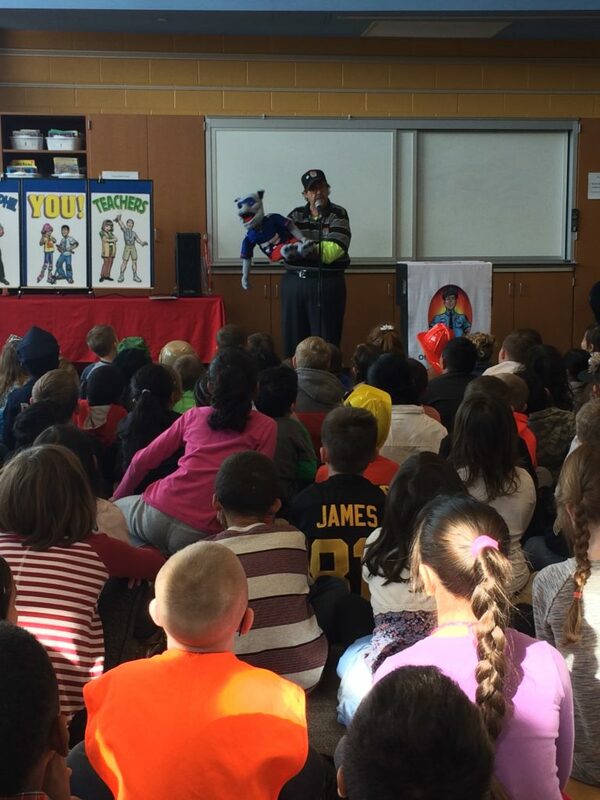 This assembly was filled with laughs while learning from some awesome community helpers. 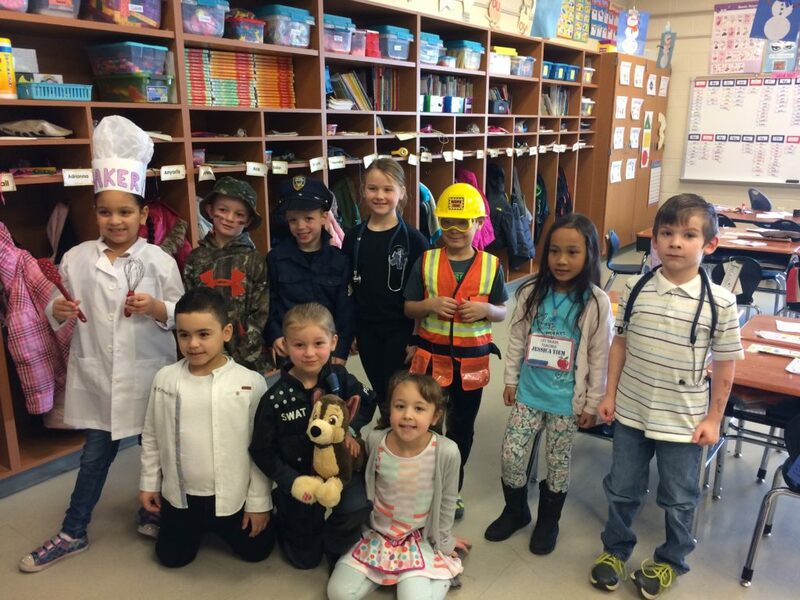 Also check out the amazing first graders and their future careers!